Legal Protection Group is delighted to be entering a new partnership with Tenant Farmers Association to provide legal expenses insurance for its members including cover for agricultural landlord tenant disputes. Andy Westall, Sales Director for Legal Protection Group, said “We are naturally delighted that the TFA has chosen Legal Protection Group to provide its members with specialist legal expenses protection. Our businesses share a real passion for providing the highest quality and most relevant policy covers to all members. Legal Protection Group will provide unrivalled levels of management and ongoing support for the TFA“. “The move to the Legal Protection Group gives us the opportunity to extend coverage to include wider contract disputes at no additional cost to TFA members with the insurance. We are also able to streamline the administration particularly on claims handling. 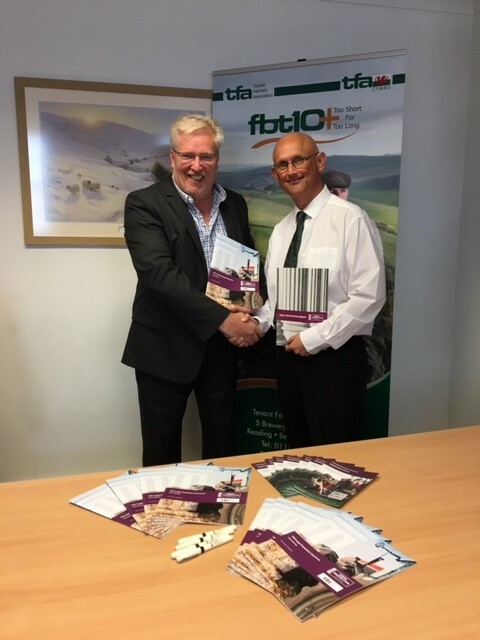 Overall we are envisaging a significant improvement in service levels to TFA members whilst continuing to provide high quality cover at a reasonable cost,” said Mr Dunn. “The costs of formal resolution of disputes arising from an agricultural tenancy rise all the time and are often much higher than the financial difference between the parties. Having insurance in place to cover these costs in the event that they arise is a must,” said Mr Dunn.